A long time ago, our ancestors believed earthquakes to be the act of the Gods. Aristotle, a Greek philosopher, was the first to realise that earthquakes were more than an act of the Gods. To this day, STEMists continue to tame the devastating effects earthquakes have on human lives, buildings, roads, and power supplies. How do people build structures that resist earthquake damage? Well, in the past it wasn’t really possible. The building materials available were limited to stone, brick, wood, thatch – none of them good for surviving earthquakes or high winds. Modern skyscrapers are made possible by modern building materials, especially steel. Alloy steel is iron mixed with other metals such as chromium, nickel, or vanadium. The metals in the mix are chosen to make the iron stronger or lighter. Tool steel is specially treated to be strong through a process called tempering. The steel is quickly heated to a high temperature, quickly cooled (quenched) and heated again to a lower temperature. Finally, stainless steel is mixed with high amounts of chromium and nickel to make it smooth, easy to clean and polish. Stainless steel is used for eating utensils and surgical instruments. How do STEMists make buildings earthquake resistant? The more lightweight and flexible a building is, the better it can withstand the lateral (sideways) forces of an earthquake. Skyscrapers are built around a steel frame that supports the weight of the walls and floors. Regular buildings use the walls to support the weight of the house or other structure, but in a skyscraper the weight of all those upper walls would be too much for the lower walls to support. 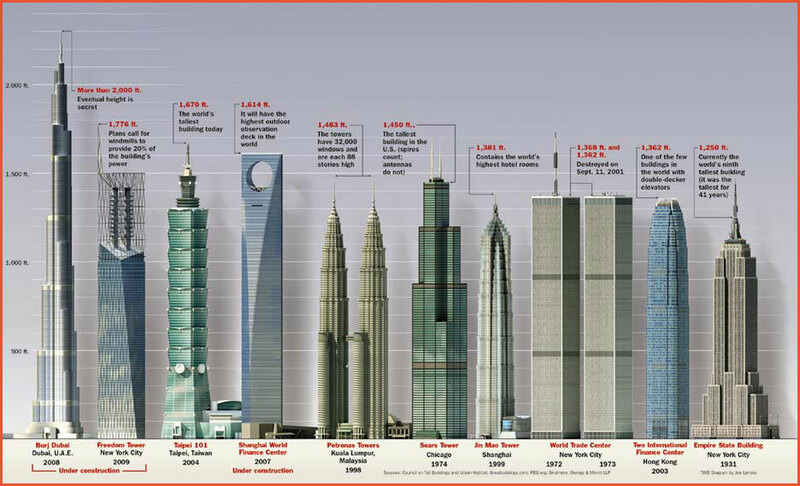 Steel makes tall buildings possible. The foundation of a skyscraper is extremely important. Think of a pyramid with its wide base. Would it stand as well if turned upside down? Of course not! Base-isolation, an engineering design, is used to prevent damage to buildings from the seismic impact from earthquakes. 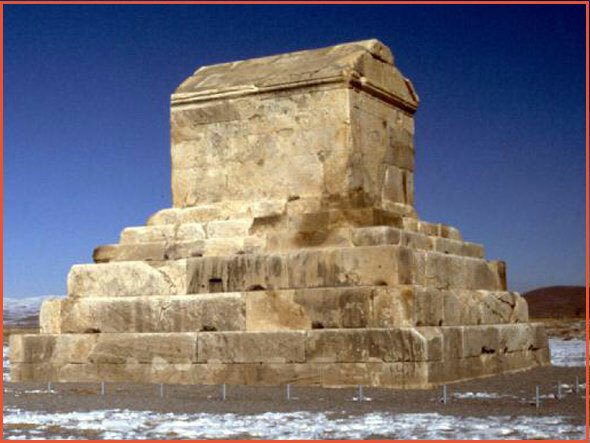 This technique where the bottom section of a building absorb the seismic waves of energy to prevent damage, was used as far back as the Mausoleum of Cyrus. Skyscrapers are placed on a foundation designed to absorb vibrations from earthquakes. Architects design flexible springs and cushioned cylinders to act as shock absorbers. Think of the shock absorbers on a car. Without proper shocks, the car would bounce dangerously as it moved over potholes or railroad crossings. The shocks keep all the tires on the ground despite bumps, just as a building’s foundation keeps the building from tipping or moving off the foundation. Architects design flexible springs and cushioned cylinders to act as shock absorbers. A shake table is a device used to determine how well a building will react to earthquakes. To see how well structures will react to earthquake shocks, building models are placed on massive outdoor shake tables and subjected to an array of ground motion energy. The Burj Khalifa, the world’s largest skyscraper, is so tall the tip of the top sphere is visible from 95 kilometers away on a clear day. It has an enormous “mass dampener” or harmonic absorber. This is a device mounted inside skyscrapers to absorb vibrations that might otherwise damage the building. The aluminum used in the building weighs as much as five A380 aircraft and the concrete weighs as much as 100,000 elephants. The Burj Khalifa’s aesthetic and environmental design mimics the look of a hymenocallis flower with its shaped central spire while collecting 15 million gallons of water every year. The Petronas Towers in Kuala Lumpur, Malaysia, stand 452 meters high. They were the tallest buildings in the world until 2004 and remain the tallest twin towers in the world. They include the world’s tallest 2-story bridge connecting the 41st and 42nd floors. The bridge is designed to slide in and out of the buildings as the wind causes the buildings to sway–safer than a rigid design would be. The Petronas Towers at dusk. The Petronas Towers and the Kuala Lumpur Tower dominate the skyline of Kuala Lumpur’s Central Business District. In the United States, earthquakes are most closely associated with the state of California, although there are fault lines in other areas of the country as well. 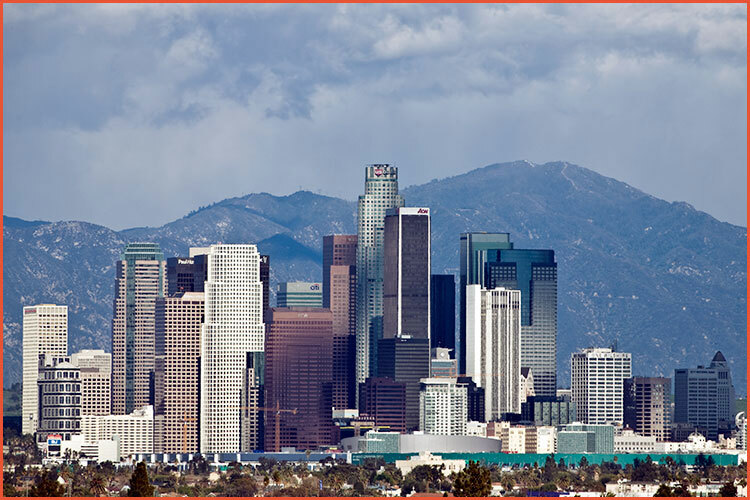 The U.S. Bank Tower in Los Angeles is 310 meters high. It is also known as the Library Tower because it includes a restored Los Angeles library. Another famous skyscraper in California is the TransAmerica Pyramid in San Francisco. This elongated pyramid was built to allow sunlight to reach the surrounding areas in spite of the building’s height of 260 meters. That was pretty groovy for them to do for their not so tall neighbors. Because of the shape of the building, the majority of the windows can pivot 360 degrees so they can be washed from the inside. 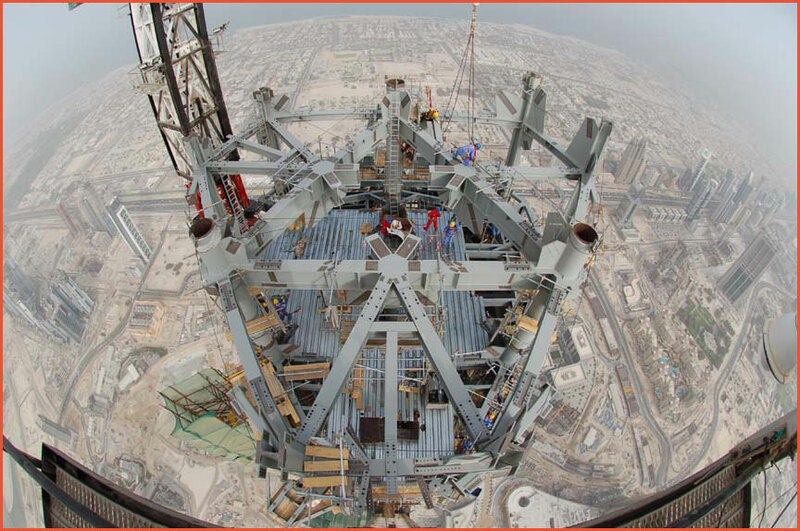 The spire is actually hollow and lined with a 100-foot steel stairway at a 60 degree angle, followed by two steel ladders. There used to be a public observation deck on the 27th floor, but it was closed after 9/11. That means you can only check out the view by looking at the live feeds at the Visitor Center. There is a commemorative plaque in honor of Bummer and Lazarus, the famous dogs of the 1850s, at the base of the building. 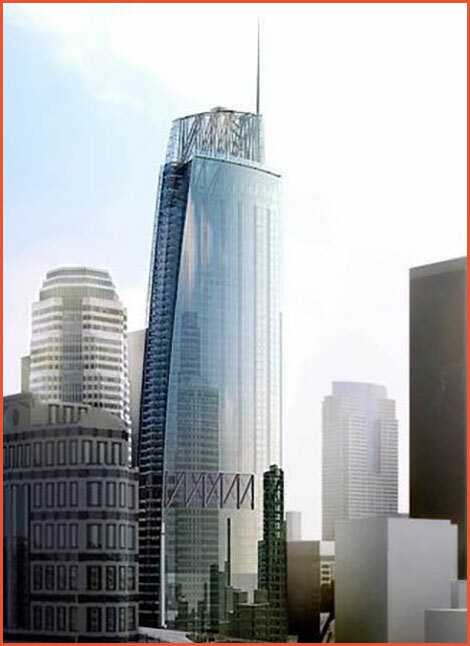 The Wilshire Grand Tower will be 335 meters tall when completed. It will then be the tallest building in Los Angeles and the tallest building west of the Mississippi River. Also being built in San Francisco is the Salesforce Tower (once called the Transbay Tower.) This building will be 326 meters tall and second tallest building west of the Mississippi. It was begun in 2013 and is expected to be open in 2018. Architects and engineers are always looking for new ideas to build groovier buildings, especially in earthquake-prone areas. 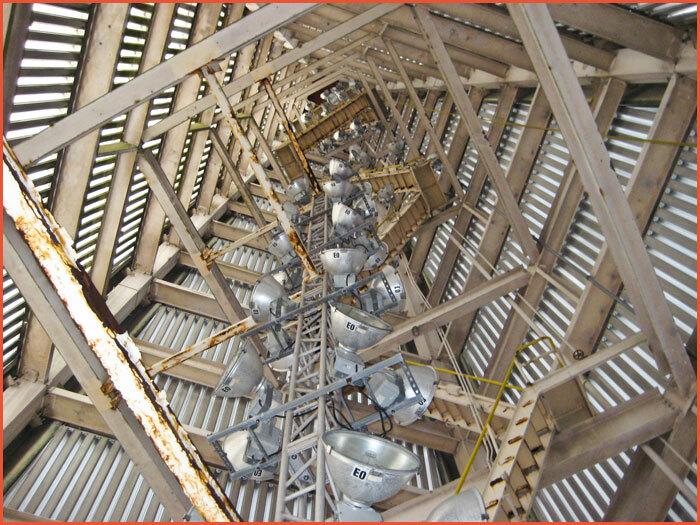 Old ideas like the pagoda and new ideas like modern alloy steel and harmonic absorbers can combine to make buildings that look groovy and stand tall through the forces of nature. 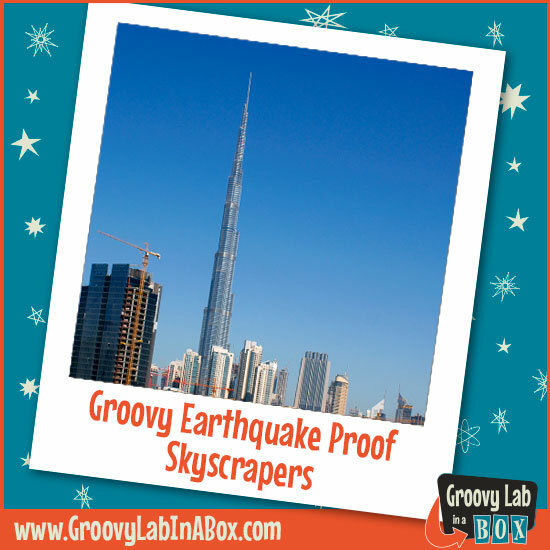 Learn More about earthquakes and earthquake proof structures with “Shake It Up” Groovy Lab in a Box! “Shake It Up” Engineering Design Challenge: You are a groovy earthquake engineer who has been contracted by the city of Los Angeles. Using only the materials from your Groovy Lab in a Box, can you design and build the tallest skyscraper that can withstand the next BIG quake? During their engineering design process, STEMists will investigate what causes earthquakes while constructing a groovy seismograph and shake table. Explore S and P waves, fault planes, famous earthquake proof structures around the world and much, much more! 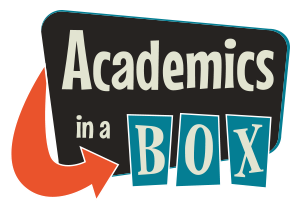 From their groovy lab notebook, STEMists do investigation activities which work in tandem with the special “Beyond…in a Box” online learning portal. This is a unique feature of Groovy Lab in a Box because it gives STEMists a deeper understanding of that month’s topic. “Beyond…in a Box” has videos, reading library and more interactive activities to supplement what they are learning from the box projects, which also helps the STEMist even more when completing the design challenge. Join Now! and challenge your STEMists to a monthly Groovy Lab in a Box, full of everything a child needs to learn about and do hands-on science, technology, engineering, and mathematics (STEM) investigations and engineering design challenges. Our monthly box activates thinking, questioning, inquiring and original creation as we guide children through scientific inquiry and the engineering design process. The earth’s crust is not one piece. There are plates, called tectonic plates, that sit next to one another like pieces in a puzzle. These plates bump against each other, sometimes causing cracks we call faults. Faults and mountain ranges are often found together, as the mountains were formed by edges of faults slipping past one another. There are also faults beneath the oceans. A fault is a fracture (crack or break) in the earth’s outer layer (crust) in which the edges have moved up, down, or sideways. It is like two puzzle pieces that no longer fit together smoothly. As the broken edges press against one another energy is stored up. When the edges finally move, that energy is released as an earthquake. Think of moving a heavy chest of drawers across a floor. You push harder and harder, storing energy, until the dresser finally slides over the floor, then stops as the energy is used up. Then you have to push a gain to cause more movement. On a dip-slip fault, the rock planes move against one another mostly vertically. The two types of dip-slip faults are the normal (also called normal-slip fault, tensional fault or gravity fault) and the reverse (also called thrust fault, reverse-slip fault or compressional fault.) In a normal fault, the footwall of crust moves up over the hanging wall. In the reverse fault, the footwall moves down. Normal fault in Mosaic Canyon, Death Valley. The Rocky Mountains are part of a dip-slip fault. Along a strike-slip fault, the rock planes move mostly horizontally (laterally or sideways.) One plate moves right or left, rubbing against the other plate. The San Andreas Fault in California and the Anatolian Fault in Turkey are two well-known examples of this type of fault. Other names for this type of fault are: transcurrent fault, lateral fault, tear fault or wrench fault. The oblique fault has both horizontal (strike-slip) and vertical (dip-slip) movements that are measurable. Most faults have both types of movement, but one is much greater than the other. The oblique fault has significant movement in both directions. Nikola Tesla is being rediscovered in pop culture and celebrated as a man before his time and for distinctly imagining the future: devices and technologies we use today such as mobile phones, wireless internet and renewable energy. STEMist, Nikola Tesla, was born in Smiljan Croatia, which was a part of the Austro-Hungarian Empire at that time. Ironically, the time of his birth was at the stroke of midnight between July 9th and 10th while a fierce electrical storm raged that very night in 1856. The fourth of five children, Nikola’s family lived on a farm and his father, Milutin Tesla, was a priest in the Serbian Orthodox Church. Sadly, his older brother, Danilo, was killed in a riding accident when Nikola was only 7 years old. Place of Birth of Nikola Tesla Smiljan, Croatia, which was then part of Austria-Hungary. Nikola Tesla’s house where he was born in 1856. The Serbian Orthodox Church where Tesla was baptized and his father served as a Serbian Orthodox Priest. After this tragedy, Tesla began to see visions and developed other quirks. For example, he was obsessed with the number 3, doing odd things such as circling a building 3 times before going in and insisting on 3 napkins next to his plate at every meal. In 1877 Tesla studied mathematics and physics at the Graz University of Technology in Austria. He also studied natural philosophy at the Charles University in Prague, Czech Republic. Today people might find it odd for one person to study both science and philosophy, but in the past university students often learned many different things rather than just one specialty. Philosophy is the study of knowledge and thinking – skills we certainly use when we solve problems in math and science! The Greek Aristotle was a philosopher who also made many scientific observations. Tesla’s education probably made him better at thinking up groovy new ideas. (AC). Alternating electrical current changes directions 50 to 60 times per second. Tesla drew this motor in the ground while a friend watched and wondered at the strange diagram. According to the experts of the time, the motor Tesla had seen in his vision was impossible and would not work. Fortunately, Tesla did not forget his motor. Dynamo Electric Machine Nikola Tesla – July 16, 1889. On June 6th, 1884, at the age of 28, Nikola arrived in New York City (later becoming a naturalized American citizen) in search of people who would believe in his unusual ideas about electricity. He became an engineer working on improving dynamos for Thomas Edison. Edison and Tesla did not get along well, though. One thing they disagreed about was the use of DC or AC power. Edison wanted the nation powered by DC, while Tesla recognized that AC could provide more power, better power, and cheaper power. AC eventually won, but Edison put up a fight. Later Tesla worked for Westinghouse. His greatest accomplishment at Westinghouse was the invention of the high-voltage transformer we now call the Tesla coil. This Tesla coil shut down the power in Colorado Springs when this photo was taken. Photo by Dickenson V. Alley, photographer at the Century Magazines via Wikimedia Commons. In 1891 Tesla worked with General Electric to install AC generators at Niagara Falls in New York – creating the first modern electrical power generating plant. The Niagara Falls Hydroelectric Power and Manufacturing Company (NFHP) was located on the lower river north of Niagara Falls. Niagra Falls – first modern electrical power generating plant. Unfortunately, Nikola Tesla had some hard times in his life. In 1895 his New York laboratory burned along with most of his lab notes and equipment. The famous banker, J.P. Morgan, helped him rebuild. After a time, however, Morgan grew tired of Tesla’s grand and imaginative ideas and stopped providing his support. Thomas Edison and other rivals sometimes used Tesla’s work without giving him credit. Tesla died alone in his apartment with no riches or fame. He did befriend the pigeons in a nearby park, even bringing injured birds home so he could care for them. He was not recognized enough in his lifetime for his amazing ideas and inventions. The world we live in today, however, would be very different if Nikola Tesla had not lived. You can honor Nikola Tesla and other STEMists who have given you the modern world by creating your own electrical projects. Check out the “It’s Electric!” groovy box – building a paper circuit with LED lights, resistors, and a battery will be one way to practice the science you are learning. You can go on to build a buzzing door alarm and design a new kind of groovy dance pad. Tesla was often called a man ahead of his time because he saw how useful electricity could be. You are living in the world he imagined! Many young STEMists are curious about flight – whether they are watching how a bird flies or making a paper airplane that floats around the room. As you think about your summer vacation plans, consider visiting one of the many aviation museums around the U.S. Not only will your kids learn more about aviation, you and the entire family will have fun doing it. And, museums are much cheaper than theme park tickets! #1: Smithsonian Air and Space Museum, Washington, D.C. The Smithsonian Air and Space Museum is the largest of the Smithsonian’s 19 museums. Its collection includes Saturn V rockets, Charles Lindbergh’s Spirit of St. Louis and the Apollo 11 Command Module, Columbia. Be sure to check out the Albert Einstein planetarium, where you will feel like you are zooming across the skis. The Smithsonian offers daily tours and educational activities for every member of the family. The Udvar-Hazy Center is a companion center to the Smithsonian Air and Space Museum. Located at Dulles International Airport, the center features two large hangars that contain thousands of aviation and space artifacts. Visitors to the Udvar-Hazy Center can see a Concorde jet, the space shuttle Discovery and panoramic views of Dulles International airport. Like at the Smithsonian, you can enjoy daily tours, lectures, events and educational activities. The Virginia Air and Space Center serves as the visitor center for NASA Langley Research Center and Langley Air Force Base. The center celebrates more than 100 years of flight with fun and interactive exhibits, including launching a rocket, piloting a space shuttle and flying an airplane. The Virginia Air and Space Center also has an Apollo 12 Command Module, Mars meteorite and a moon rock. Also check out a movie in the center’s 3D IMAX theater and take a spin on the Hampton Carousel, a restored carousel that is near the air and space center. Located in Balboa Park in San Diego, the Air and Space Museum is a “must-stop” destination if you are traveling to Southern California. The museum emphasizes San Diego’s contribution to the field of aviation, so many of the exhibits focus on war aircraft, and modern jet and space travel. Some of the galleries include the World War I Gallery, Golden Age of Flight Gallery, World War II Gallery and Modern Jet & Space Age Gallery. Be sure to check out the flight simulators if you have a strong stomach! Lectures, student programs and other events are available. The Museum of Flight has more than 150 air and space craft on display, including the world’s first fighter plane, the first Air Force one and the Blackbird spy plane (the world’s fastest aircraft). The museum also has several flight simulators, including the Voyager simulator, which is perfect for kids ages 4-11. If you are feeling especially adventurous, you can board a real vintage bi-plane and take an aerial tour of Seattle. Be sure to check out the museum’s special events, including their annual Women Fly! event for young women interested in aviation and aerospace careers. The Southern Museum of Flight is a 75,000-square-foot facility that contains more than 90 types of aircraft, as well as engines, models and other aviation artifacts. Museum visitors can check out the Korean War Jets Exhibit, Tuskegee Airmen Exhibit, Vietnam War Helicopters Exhibit and more. Kids may enjoy the flight simulator and climbing the many displays. Additionally, the museum is adjacent to the Alabama Aviation Hall of Fame, whose members include Wilbur & Orville Wright and NASA astronaut Jan Davis. Aviation is one of the many great careers available to STEMists, so be sure to foster their natural curiosity with a trip to an aviation museum. Please check each museum’s event calendar, admission price and hours of operation before your trip to ensure you get the most out of your visit. Most importantly, have fun and make wonderful memories with your groovy STEM Family! If your child loves aviation, be sure to subscribe to our subscription service. 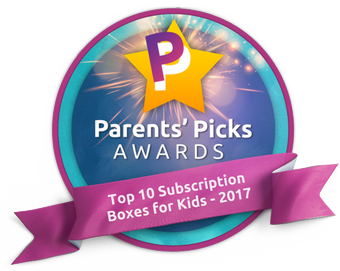 Each month through our Groovy Lab in a Box subscription service, young STEMists (your children!) will receive fun, hands-on projects and an engineering design challenge – all focused on that month’s STEM topic. Order your box today! The first woman pilot, Baroness Raymonde de la Roche, was licensed in 1910 in France. She was taught by her friend, Charles Voisin. In 1919 this talented engineer and pilot set a women’s altitude record by flying at a height of 4,785 meters. In the summer of that year she decided to become the first female test pilot. The new aircraft went into a dive and crashed, killing her and the pilot. In 1921 Elizabeth “Bessie” Coleman, a Texan, became the first civilian (non-military) licensed African-American pilot in the world. She went to France to learn to fly after her brothers, who served in World War II, told her French women were allowed to fly. When she returned to the United States she did air shows: barnstorming, parachute jumping, and giving demonstrations. Coleman would only perform if the audience was not segregated and all people got to enter the show through the same gate. This courageous and adventurous woman fell from the open cockpit of a plane during a test flight which ended her life on April 30, 1926. She was enshrined in the National Aviation Hall of Fame in 2006. Born in France in 1873, Madame Peltier was a well-known sculptor in Paris. She became interested in aviation when her friend and fellow sculptor, Leon Delagrange, took an interest in flying. She was Delagrange’s constant passenger, observing how his airplane works and studying the mechanics of aviation. She began to take lessons from Delagrange, and in 1908, she completed her first solo flight. With this flight, Peltier became the first woman to pilot a heavier-than-air craft. Despite her successful flight, Peltier never applied for her pilot’s license. In 1910, Delagrange died in an airplane crash in Bordeaux, and Peltier lost interest in aviation. 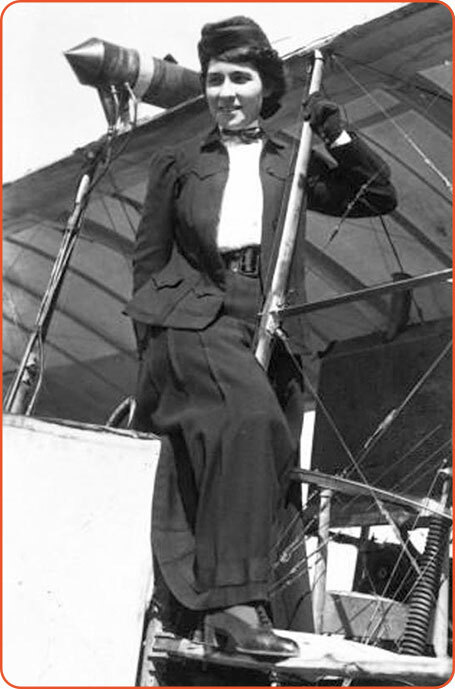 In a time when most women were thought unable to drive a car – much less pilot an airplane – Peltier’s accomplishments as an aviator are truly remarkable. Amelia Earhart was born in 1897 in Kansas and fell in love with airplanes while attending an air show in Toronto as a teenager. As a college student, Earhart convinced her father to pay for flying lessons. After just one ten-minute lesson, Earhart was hooked and worked a variety of jobs, including photographer, truck driver and stenographer, to raise the money needed for her remaining lessons. In 1923, Earhart became the 16th woman to earn a pilot’s license. In 1932, after years of flying with male pilots, Earhart wanted to fly across the Atlantic Ocean in a solo flight. She set off from Newfoundland and landed in a pasture at Culmore in Northern Ireland. She had hoped to make it to Paris, but strong winds shortened her journey. Nevertheless, with this flight, Earhart became the first female pilot to complete a solo transatlantic flight. 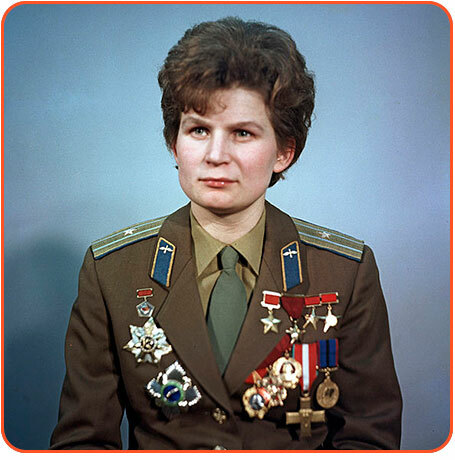 Valentina Tereshkova is a former Soviet cosmonaut who became the first woman in space. Her career, though, started out on a different path. As a young girl, Tereshkova was interested in parachuting and later took skydiving lessons. She completed her first jump at the age of 22. At the time, she was an assembly line worker with barely a high school education. In 1961, the Soviet Union wanted to put a woman in space and began a search for the country’s first female cosmonaut. Tereshkova applied and was selected out of more than 400 candidates, based largely on her expertise as a parachutist and skydiver. In 1963, at the age of 26, Tereshkova boarded the Vostok 6 and began her three-day space journey, orbiting the earth 48 times. After her flight, Tereshkova studied at the Zhukovsky Air Force Academy and earned a doctorate in engineering. In 1964 Geraldine “Jerrie” Mock became the first woman to fly solo around the world. Her flight took 29 days and was completed April 17, 1964. According to her obituary, Mock thought her flight was no big deal. She said she did it mostly “to have fun.” Although she enjoyed flying, she obviously took it seriously, too–she did, after all, live to the age of 88. When she did her around-the-world flight, she was a full-time mother of three children and had been a licensed pilot for only seven years. During her famous flight she once had to land in Saudi Arabia. After she exited the plane, the crowd waited for a man (the pilot) to come out, too. When no man emerged, they realized she was the pilot and many cheered. Her plane, the Spirit of Columbus, is in a museum in Chantilly, Virginia. Moments before she took off from the Port of Columbus Airport on her 1964 flight, Mock posed in front of Three-Eight Charlie, also known as the Spirit of Columbus. According to her memoir, Mock wore her “blue, drip-dry outfit” throughout the flight. Dr. Sally Ride, a physicist, became the first American Woman to fly in space. Her first space shuttle mission took off on June 18, 1983. She flew a second mission in 1984. One of her specialties on the mission was to operate the robotic arm used to place satellites in orbit. She became part of the astronaut Hall of Fame in 2003. Until she died in 2012, Sally Ride worked hard to encourage young people to study science and math. She had college degrees in both English and physics, and went on to earn a Ph.D. (the highest degree one can earn in a field) in physics. Dr. Ride knew how important education is and wanted to help students in any way she could. She often shared her space experiences in schools and in interviews. Her company, Sally Ride Science, especially encouraged girls to develop their interests in science and technology. If your STEMist (your child!) loves aviation and space, be sure to check out the “Fly With Me” groovy box! Engineering Design Challenge: You are a starry-eyed aerospace engineer and a groovy world traveler. You dream of taking off in the blue, gliding where the air is stratified and floating down to Peru. Using only the materials from your Groovy Lab in a Box, can you design, build, and launch an airplane generating thrust with a propeller which travels fifteen feet? STEMists, get ready to pack up and fly away! A groovy approach to hands-on Next Generation Science Standards, project-based learning…Groovy Lab in a Box!